This eBook is designed to guide you through the logistical and strategic portions of the process to become a physician. Join us in this exciting journey and let us guide you down the path of success and achieving your dreams. During medical school you will spend countless hours studying. However, just as important will be making the right connections, developing good study techniques, having great mentors, and learning how to strategically plan your residency application. Pre-Med School: Plan your college years to ensure admission into medical school. 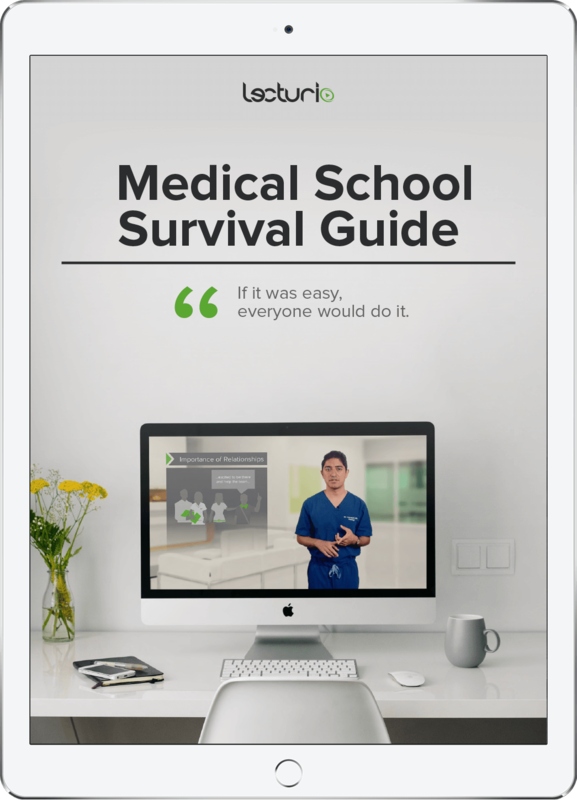 Med School Year 1: Learn how to study and manage being a medical student. Med School Year 2: Study efficiently and dominate USMLE Step 1. Med School Year 3: Throw on your white coat and start learning from patients. Med School Year 4: Strategically plan your residency application and match into your top program of choice. International Med Student: Learn how to successfully apply and match into US residency programs as an IMG.